Lauren joined SPARKS! as the Operations and Client Relations Manager in March, 2016 after almost two years in the non-profit world. She brings with her extensive social media experience and a vision for success. 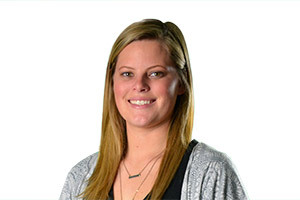 When Lauren is not at SPARKS!, you can find her at Maryvale Preparatory School, where she is an Assistant Coach for the IAAM A Conference Cross Country and Track and Field Championship teams. I actually have two. First is Long Beach Island, NJ. My summers are filled with endless sunsets, boating across the bay, hours in the ocean, and time with my closest friends and family. Tied at first is Penn State University, I definitely drank the Kool-Aid at my alma mater. There’s no better way to spend a Fall weekend than in Happy Valley cheering on the Nittany Lions Football Team! Any and all crime shows! Which have given me the false idea that I can solve any mystery thrown my way…and trust me, I’ve tried. With SO much good food out there, how can you choose just one?! Here are my Top 4: Fusion in Cockeysville, MD, The Red Star in Fells Point, MD, Pickles Pub in State College, PA, and Alla Rampa in Rome, Italy.